March is here and I, for one, am pretty ridiculously stoked. Not because the arrival of early spring means that I can finally step out of my house without encountering air that makes my face hurt – although, that is something about which you should be excited. The source of my excitement is – per usual – book related. There are an Amazon-cart-overflowing number of must-read new releases hitting shelves this month. With this many new books that I simply can’t resist adding to my already embarrassingly length TBR, I know how I’ll be capitalizing off of the new, warmer weather – sitting on my porch with a drink to sip and a book to read …and, probably, a blanket too TBH, ‘cause it’s warm, but it’s not that warm. Check out the new releases that we’re planning to read ravenously this month. When I was a teenager, I felt gutsy when I stepped outside of my comfort zone and agreed to play saxophone instead of clarinet in the marching band #BandNerd4Life. This flaccid attempt at bravery is nothing, however, compared to the risks undertaken by the teens central to this Alexandra Monir novel. It’s the near future and – as we all expected would happen long ago – humans are ready to colonize other bodies in our galaxy. Obviously, we don’t want to pin the hopes and dreams of future generations on a bunch of old people, sending them up to set down roots. It’s much better to send up fresh-faced, energetic and optimistic teens – you know, people young enough not to immediately realize how badly this will almost certainly end. To ensure that they have they pick candidates with the right stuff – Great, now I’m going to be humming New Kids on the Block all day – the agency tasked with starting a colony on Europa, a moon of Jupiter, drafts promising teens and sends them to the international Space Training Camp where they will compete for a coveted spot on the colonizing team. But should these spots be coveted? Is this colonizing mission all it seems? Or are these teens being put in more danger than they could possibly imagine? Finding out that your brother took a major fall down an equally major set of stairs is bound to be upsetting. But what’s even more upsetting to Mags is that there was only one witness to her brother’s fall – his girlfriend, Jody. And if there’s one thing Mags knows about Jody, it’s that she has a weakness for lying. 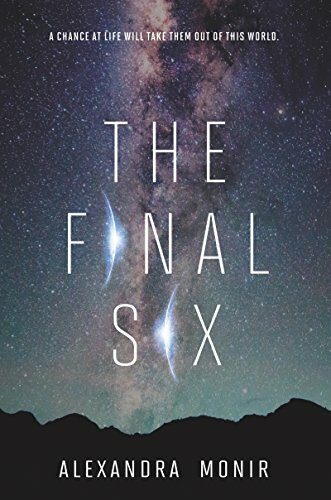 Given this, Mags can’t simply wring her hands and lament her brother’s misfortune – she has to actively seek to unearth the truth and get revenge on the girlfriend who she is certain played more of a role in the tragedy than she is letting on. 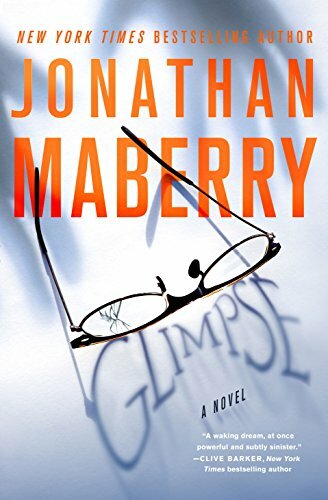 With a tightly woven plot and enough twists and turns to induce a bout of motion sickness, this novel promises to satisfy the most ardent of thriller fans. In the Indian village Poornima and Savitha call home, a woman has one option – get married and have children. But for Poornima and Savitha, both headstrong and ambitious, this often accepted truth doesn’t sit well. Despite the poverty in which they live, these girls aspire to so much more than their community feels they are destined for. Instead of accepting the status quo, both girls, knowing they are strong enough to fight against the tide of tradition, leave behind the comfort and safety of their small village and venture far away. To a place where options exist. But, while options exist, so do risks. 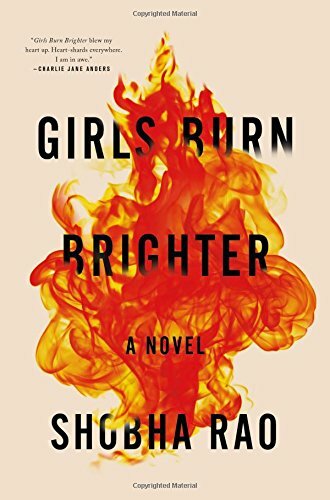 Particularly in the current climate, this Rao novel teaches an important lesson and provides insight into the lives of women who have fought for independence – and won. Most of us can relate to waking up hung over – regretting the decisions you made or didn’t make the previous night and saying a silent prayer that you can manage to procure some ibuprofen without completely opening your eyes. What we likely – or, at least hopefully – can’t relate to is waking up not only in this unenviable condition, but also lying next to someone you don’t know who just happens to be dead – like, dead-dead. I’m talking blood on the sheets, cold as a popsicle, nothing the doctors can do now, dead. 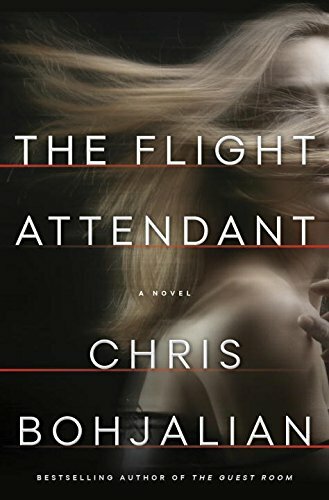 But this is how the day starts for Bohjalian’s protagonist, Cassandra – who, as you almost certainly guessed, is a flight attendant. What does Cassandra do next? And then lie some more. 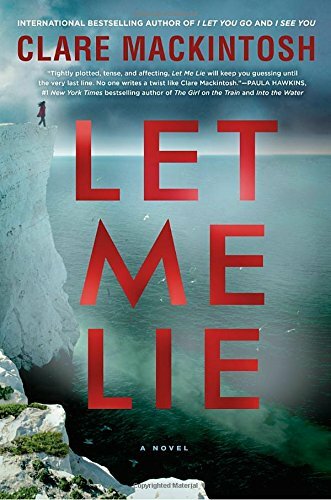 But with each lie, Cassandra weaves an even more complicated and intricate web that threatens to ensnarl her, forcing her to own up to the mistakes she’s made and dig for truths that she long ago buried. 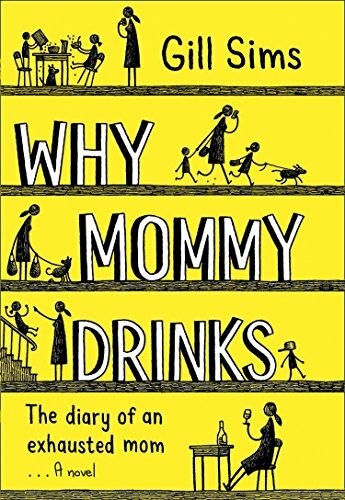 When you literally have a blog named after your relatively equal adoration for books and alcohol, it should come as no surprise that a book titled Why Mommy Drinks would be right up your alley. But, I would argue, that your interests don’t need to be restricted to novels and booze to enjoy this book. You need only have – or have an understanding of what it’s like to have – children. For, even if you’re not a drinker, being around children for any period of time, will make you to aspire to become one. It is not just the antics of her children, but also the expectations thrust upon her by society in general and other mothers in particular, that prompts Mommy to give in to the urge to imbibe. Can she overcome these pressures, survive the trials and tribulations of motherhood and, most importantly, retain her sense of self as she does? Sims, proprietor of the Peter and Jane blog, explores these critical questions with humor and sincerity in this work that, while technically fictional, will undoubtedly ring true with many a mom. Just a quick question, are narrators EVER reliable anymore? 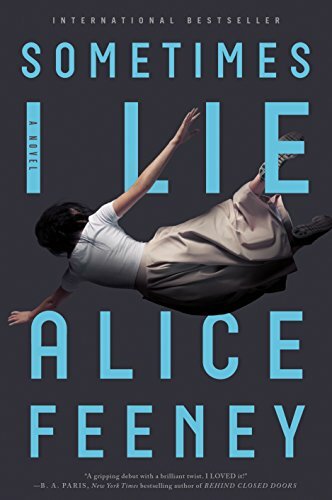 This one certainly isn’t, allowing Alice Feeney to weave a twisty tale that leaves readers guessing. The protagonist, Amber Reynolds, isn’t having what you would call her best day. As the book opens, she wakes up in a hospital room. Though she’s unable to speak or even open her eyes, Amber is aware of what’s going on around her – and pretty certain that her husband had something to do with her current state of helplessness. 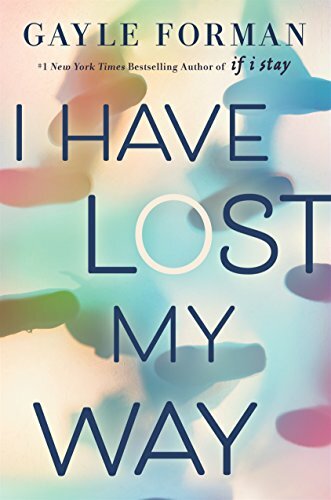 As the narrative alternates between the present and the week preceding the “accident” that’s put her in this state, readers are left to piece together the puzzle and decide for themselves who the true victim might be. Losing one parent is hard. Losing both parents is next to impossible. Losing both parents under suspicious circumstances is more than even the strongest person can handle. And that’s what Anna is up against. A year prior, Anna’s parents, Tom and Caroline, chose to take their own lives – or so the official story goes. But Anna simply can’t accept this narrative, no matter how convenient and clean. 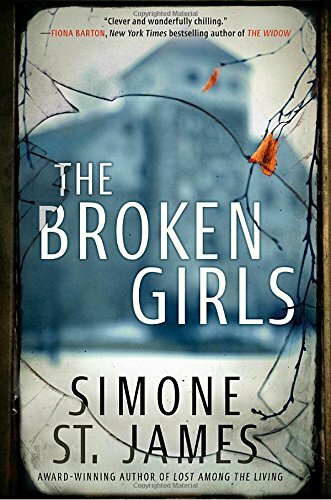 As she becomes a new mother, the unsettled feelings surrounding her parents’ deaths rise to the surface, forcing her to dig deeper and find out for certain whether her parents willingly took their lives, were murdered or, perhaps, something even more sinister. Love and loss are central to this powerful – albeit emotionally difficult – novel. Richard, an accomplished pianist, sees the skills he has worked so hard to hone all-too-rapidly melt away as ALS lays claim to his body, turning his once nimble fingers feeble and impotent. As the disease washes over him, stealing more and more of his talent, he struggles to come to grips with who he is without his talent. 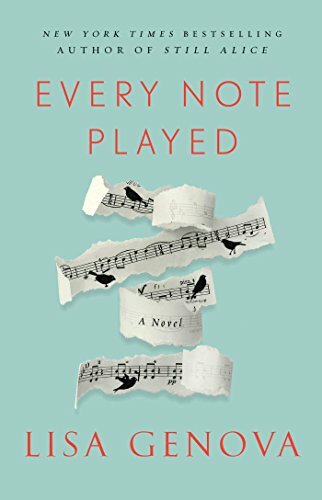 With no one else to whom he can turn, Richard becomes dependent on his ex-wife, Katrina, a piano teacher who has long felt unfulfilled, both by her relationship with Richard and her occupation. As once robust and confident Richard regresses into increasing dependence, it becomes ever more important that he and Katrina actually deal with the issues that forced them to part in the past as the time to do so is rapidly fleeting. You know that old tagline from Ghostbusters, “We ain’t afraid of no ghosts”? There is no utterance in the history of the world I disagree with more than this one. I, most certain – and of this I am not ashamed – am deathly afraid of ghosts. 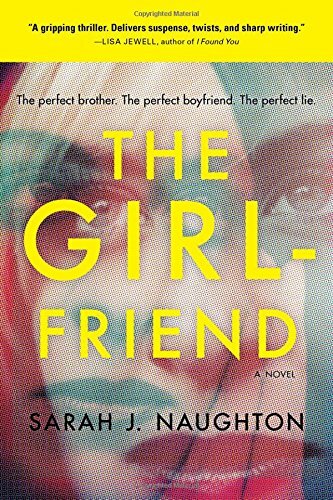 So, this novel, part thriller, part supernatural drama, is basically nightmare fuel for me. But I read it anyways. In 1950, Vermont’s Idlewild Hall served one important purpose – housing the troublemaking, problem-causing and all-around defective girls that would otherwise pour into society, tainting it. Though there were always rumors that Idlewild was haunted, few of its residents saw this haunting as a real problem. Then one of a group of four roommates goes missing. In 2014, journalist Fiona Sheridan still struggles with the loss of her older sister, whose body was discovered, 20 years prior, near the grounds of Idlewild hall. As Fiona continues to dig for the truth surrounding her sister’s murder, she unearths more than she had bargained for. There are legitimate reasons why parents try to “prevent their kids from having fun” #MomSoapBox. And Marvin Johnson learns about these reasons the hard way. Marvin and his twin brother, Tyler, are expecting an evening of fun at the party they decide to attend. Unfortunately, that’s not what they get when rising volatility at the party reaches a crescendo with a shooting a police raid. The next morning, Tyler is nowhere to be found. 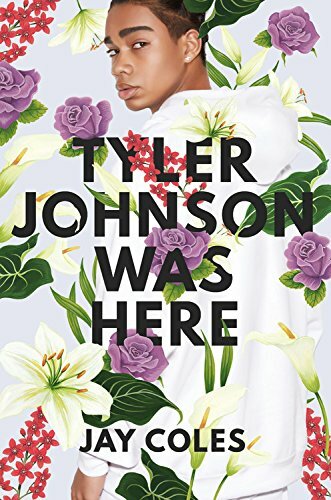 When Tyler is found, the truth of what happened to him following the party undermines everything Marvin wants to believe about the community in which he lives. It is also worth noting that the cover of this novel 100% reminds me of Barrack Obama’s stunning presidential portrait, which both satisfies me and makes me miss the old days of the Obama-Biden bromance era. When Freya, who loses her voice as she records her debut album, Huran, who’s planning to run away and Nathaniel, who’s embarking on a desperate plan, are thrust together in a perhaps fated accident, they actually end up benefiting from their mutually bereft states. As they get to know each other, they discover not only that life isn’t as hopeless as it seems, but also that they are each more powerful than they ever thought. Rain Thomas has baggage. And hers certainly is heavy as she’s carrying around her history of addiction, memories of the child she gave up for adoption when she was 16 and regrets over her relationship with the child’s father, who was killed in Iraq. Heading to a job interview, Rain borrows a pair of reading glasses – a pair that is nearly as damaged as she is, as one of the lenses features a prominent crack. When looking through the crack, Rain sees an alarming image – a young boy running down the aisle of the subway train, screaming. As her day continues to spiral out of control, Rain comes to realize that things she had thought were in the past aren’t truly put to bed.